In this age of modern technology, mobile devices are an active target for cybercriminals. As more people purchase phones and tablets, hackers are doing everything they can to get your important information. On top of this, lots of people are determined to pickpocket loose phones if they have the chance to do so in public. To keep your devices safe from thieves and hackers, use these tips and tricks to add some extra layers of security. One of the best ways to keep your device secure is to set up a password for it. Once it’s set up, you will have to enter this short password in order to access your device’s features. By doing this, it will be harder for people to get your data if someone else takes the device from you. Additionally, certain phones on the market also include the option for fingerprint identification. With this feature, someone will need to scan your fingerprint onto the device in order to access it. If you think you will have trouble remembering a password, this option should be a lot more convenient for you. Having access to WiFi on your phone is helpful, but you should be wary of what networks you are connecting to. Public WiFi networks are rarely secure and are prime targets for hackers. You need to be mindful of your actions if you absolutely need to connect to one. Do not make any kind of financial transactions on one of these networks because your financial information could be compromised. If you are not planning to use a public WiFi network, make sure your device does not try to connect to them automatically. Finally, if you are able to connect to a private network, you should definitely use that instead. For one reason or another, some people are tempted to jailbreak their mobile devices. Typically, people do this so they can do things on their phones that the original developer never intended. When you do this, however, you also bypass and remove important security features the manufacturer included in the device. As a result, jailbreaking your mobile device can severely weaken its security capabilities, putting it at risk of hacking. If you are tempted to go through with this process, it would be wise to keep your phone or tablet as it is, so you can protect it. We know that operating system updates can take a long time to complete, but keeping your device up-to-date is crucial if you want to keep it secure. 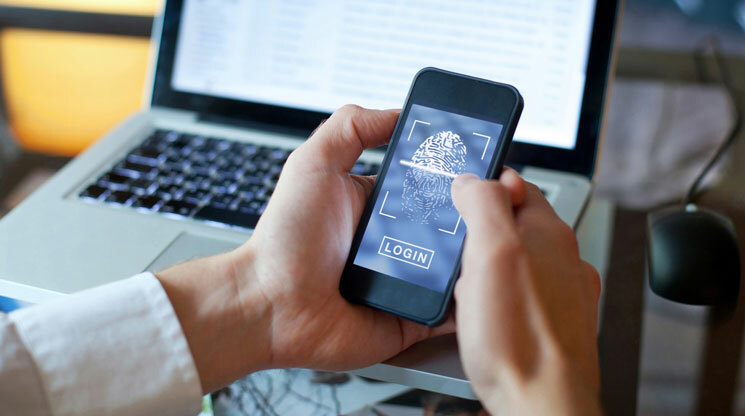 One of the reasons mobile devices are updated so frequently is because the manufacturers are trying to combat vulnerabilities found in the software. If your device is not up-to-date, cyber-attackers can get through these holes and get your data. This also applies to your device’s applications. Check through your list of apps to make sure all of them are properly updated. It’s a simple process that has a significant effect on your device’s security. A common feature used in mobile devices is the ability to let them access your current location. With this feature, the device can use cellular data to get an approximation of where you are currently. This can be a helpful tool in certain situations, but it could also pose a problem if you don’t want people to know where you are.